'Henry Bell' unveiled new panel! A REINCARNATION of the early 19th century pioneer of steam navigation, Mr Henry Bell, returned to Helensburgh on Saturday August 4 2012 to assist with bicentenary celebrations of the commissioning of his revolutionary Comet, the world’s first commercially successful sea-going paddle steamer. 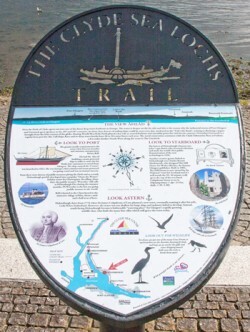 Before Mr Bell went on to welcome the arrival at Helensburgh pier of the world’s last sea going paddle steamer Waverley, he attended a gathering on the town’s promenade where he unveiled a new panel featuring information about the town including references to himself and his ground breaking invention. We remember Dickens and the Titanic. 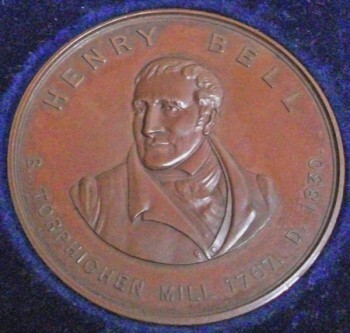 So why have we forgotten Henry Bell? A VERY interesting article on Henry Bell and the Comet was published in the Guardian on Saturday July 28 2012. 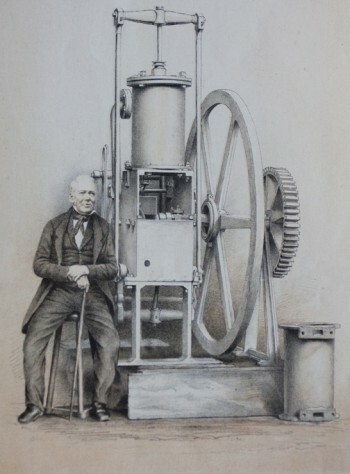 Ian Jack writes that thanks to Bell's efforts, the Comet was recognised as the first commercially successful steamship in Europe, enabling Bell to claim his title as the father of steam navigation, and thus a leading figure among the Britons, and particularly Scotsmen, who shaped the modern world. 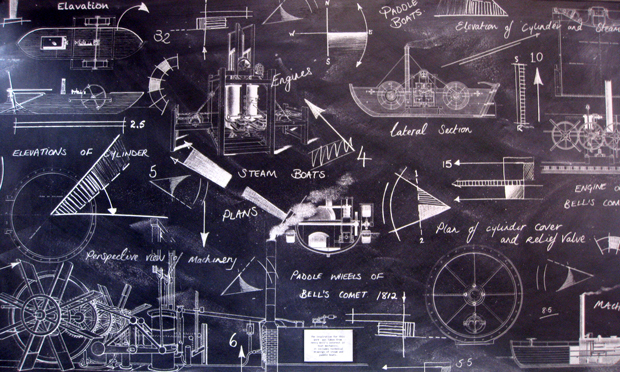 THE year of 1962 marked the 150th anniversary of Henry Bell's prestigious steamship; in order to highlight and celebrate this occasions Sir William Lithgow composed a letter showing interest in funding construction of a replica of the ‘Comet’ which was to be made seaworthy for a short period of time. THREE important Henry Bell and the Comet artefacts cannot be seen at present. 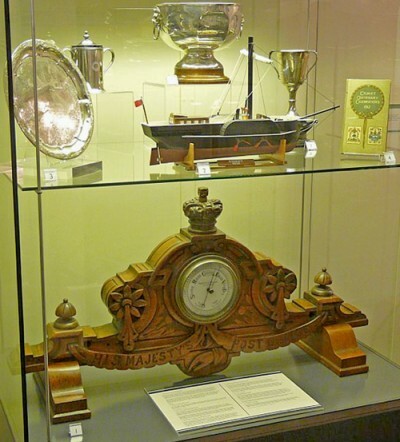 They are normally on show in the Linthouse building at the Scottish Maritime Museum in Irvine, but the building is currently being given a new roof. It is hoped to re-open the facility next Easter. A SOUVENIR of the Comet centenary celebrations turned up in Aberdeen in the summer of 2012, the bicentenary year. Robert Campbell got in touch with Helensburgh Heritage Trust chairman Stewart Noble to say that he had a medal celebrating the Comet and Henry Bell Centenary, and he asked if there were any plans to produce a bicentenary medal. A NEW public house and restaurant in Helensburgh, named after Comet steamship pioneer Henry Bell, opened at the end of May 2012. The Wetherspoons chain spent £1.4million re-developing the former Kerrs, then Quorum, carpet and furniture showroom near the foot of James Street, and opposite similar premises called Logie Baird after the burgh-born TV inventor. IT is now some 192 years since the wreck of the first River Clyde paddle steamer, the PS Comet, which was lost on Loch Craignish, on December 13 1820. Since that time there have been a number of articles written and published about the history of the Comet, her loss, and the salvage attempts made at Craignish. There does, however, seem to be some doubt about exactly what engine was fitted in the Comet at the time of her wreck, and whether or not her engine was salvaged.